Three years ago, Florence André was sitting at a table with a few friends discussing the upcoming New Orleans tricentennial, lamenting the fact that women’s offerings to the city’s history would most likely be ignored or breezed over. That’s when an idea struck, “Maybe we could change the narrative and shine a light on the contributions women and girls have made over the past 300 years to make this city such a complex, fascinating and wonderful place to be,” says André, “And [put] women at the forefront of history for the next 300 years.” And with this Nola4Women was born. Founded by André, Kathy Epstein Seligman, Sylvia Frey, and Martha Sullivan, Nola4Women is a non-profit organization which aims to, “…promote a future where every woman and girl has the opportunity to reach her full potential,” and to do so they have developed an array of initiatives to engage with the community during the city’s tricentennial year. This included a three-part discussion series called Hear Our Voices, which focused on the issues women face at different ages. 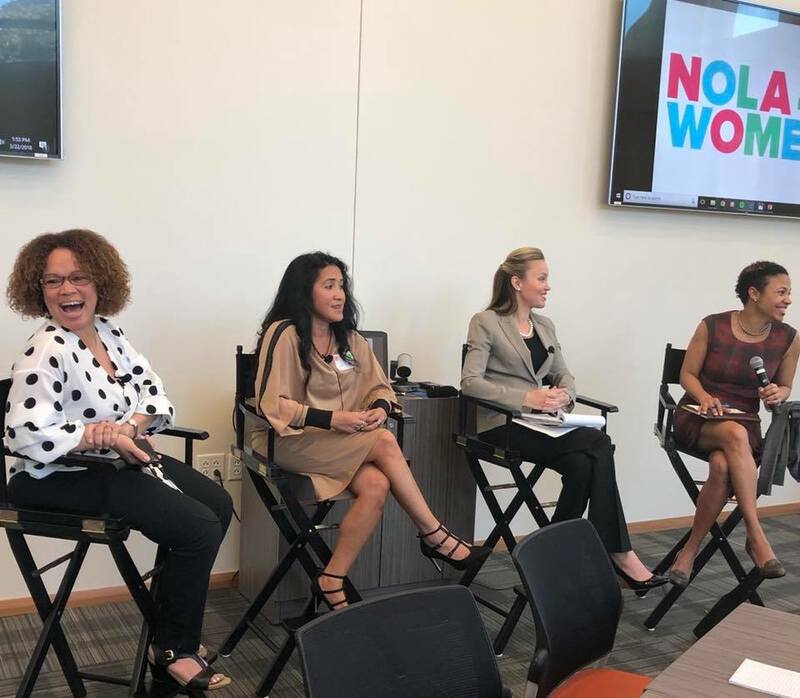 Put on in partnership with the Greater New Orleans Foundation, the last of section will deal with challenges faced by women as adults and take place on Thursday, June 14. Another of their ongoing projects is called Heroes of New Orleans, which takes place in middle-to-high school classrooms across the city. “That was kind of our first project…where students— boys and girls— research women and girls of New Orleans who have a made a contribution to this city in one way or another. It doesn’t have [to be a] famous person,” says André, emphasizing the programs inclusivity. “You can’t have social change without having all sexes agree that there is need for social change. And to do that you need to educate the other half of the population as well.” One school even invited New Orleans native Ruby Bridges to talk about her experience as the first African American child to integrate a white Southern elementary school. The non-profit’s work throughout 2018 has been building towards the organization’s biggest event at the end of the year: a global summit on women and girls. “That really was our end goal,” says André about the program that is set to happen sometime in November. “The concept of the global summit is based on the fact that we are a global community— that women and girls here actually share some of the same problems that women and girls in underdeveloped countries have. We could learn from each other and lift all of us together in how to address those issues.” André says that the summit is also a way to establish a “community-driven agenda” for women and girls to hand to Mayor Latoya Cantrell’s new administration, herself the first woman and woman of color elected mayor in New Orleans. “We’re not an organization that says we’re going to fix things, but we do want to be able to bring people together who can fix things,” says André. “There’s more power in a crowd than there are in individual organizations.” This is an ethos the organization put into action when it held a community conversation two years ago on International Women’s Day that saw over a hundred members of the community come and speak about the priorities and challenges they felt women in New Orleans faced—particularly what they thought was not being done and what gaps were stopping women from achieving their goals. More information about Nola4Women can be found at nola4women.org.